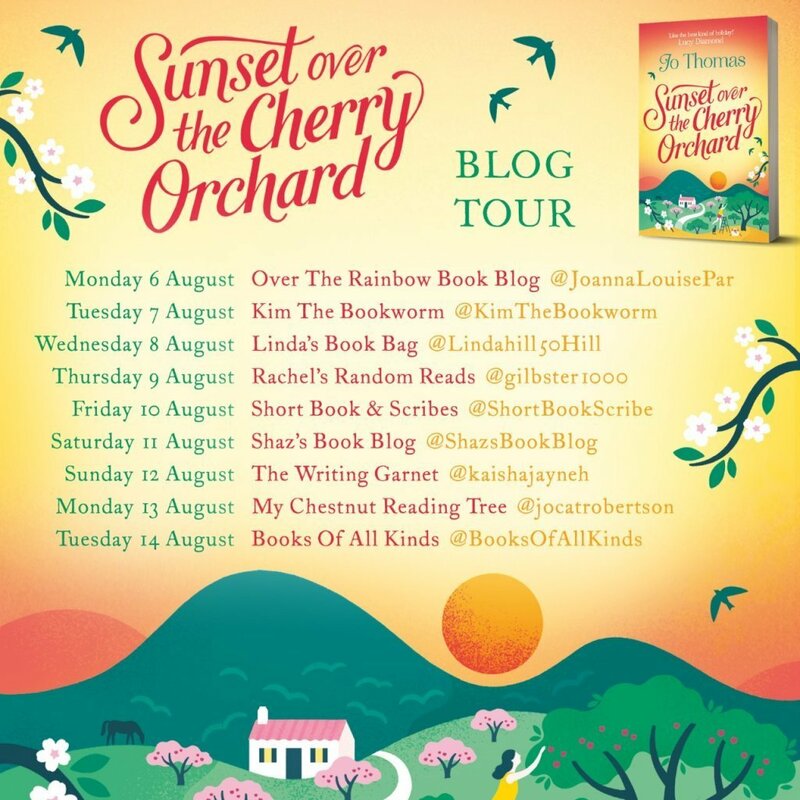 I’ve heard so many wonderful things about Jo Thomas’s books but hadn’t got round to reading one so when invited to join the blog tour, I couldn’t wait to get stuck in. OMG! I don’t think I’ve ever wanted to be the main character in a book so much in my life. I wanted to be Beti! I wanted Beti’s life! I loved Beti! What a fabulous character she was! I feel a little bereft that Beti is no longer in my life! I’ve always fancied living abroad! Every time I go on holiday, I sit and dream and work out how I wish I’d done it when I was younger and made a life for myself. And don’t get me started on when I could sit and binge watch A Place in the Sun! I don’t think working a summer season in a bar in Corfu many moons ago, satisfied my itch completely. There wasn’t anything that I didn’t love about this book! Not a thing. Oh apart from Will! He didn’t endear himself to me! Actually Valentina didn’t bowl me over either! But apart from them! I could almost feel the sun beating down on my body and taste those fabulous traditional Spanish dishes which were described SOOO evocatively! I could feel the atmosphere in the restaurant and feel those relationships developing. And the dancing! What can I say about the dancing? It definitely got me googling Flamenco classes quicker than you could click your castanets. There were parts that reminded me loosely of the films Footloose, Dirty Dancing and even a bit of Shirley Valentine thrown in. All huge favourites of mine. It was great to learn more about Antonia and Miguel and see their relationship develop too. Sunset Over Cherry Orchard left me with a big fat smile on my face, a warm fuzzy feeling in my heart and a passion for Flamenco along with the need to book me a flight to Spain! A highly recommended, gorgeous, heart-warming, feel-good, inspirational read that I LOVED, LOVED, LOVED! It’s time for Beti Winter to dance to her own beat. After three failed engagements Beti is in desperate need of a fresh start. What better place than the sundrenched hills of southern Spain? But it’s not all sangria and siestas. 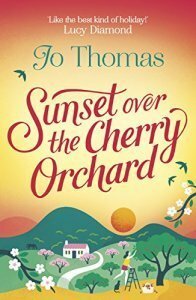 Beti finds work on an old Andalucian cherry farm where there are cherries to be picked, trees to be watered and her fiery boss, Antonio, to win over. As the sun toasts her skin, Beti finds herself warming to the Spanish way of life. Embracing the art of flamenco, she discovers there is much to learn from the dance of passion. She just has to let loose and listen to the rhythm of her heart. Jo Thomas worked for many years as a reporter and producer, first for BBC Radio 5, before moving on to Radio 2’s The Steve Wright Show. 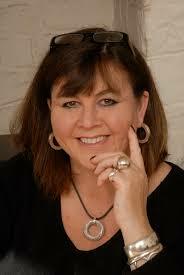 In 2013 Jo won the RNA Katie Fforde Bursary. Her debut novel, The Oyster Catcher, was a runaway bestseller in ebook and was awarded the 2014 RNA Joan Hessayon Award and the 2014 Festival of Romance Best Ebook Award. Jo lives in the Vale of Glamorgan with her husband and three children. And don’t just take my word for it. There are loads of other fabulous bloggers who are reading and reviewing this gorgeous book right now so you can check out their blogs too and see what they’ve been saying!